If you want to eat well, then it’s a good idea to meal plan… especially if you have a busy family to take care of. If you don’t have a plan for what you’re going to eat, you may find yourself giving into cravings or simply grabbing whatever is fastest and most readily available. Often processed junk food that’s high in saturated fat and sugar tends to creep in these foods can leave your blood sugar all over the place and don’t provide the wide variety of nutrients your busy body needs. Meal planning is a simple way to solve so many problems – just getting an idea of how much time to you have to cook and prepare food can make life easier. Also you’ll know what you need to buy, so you might even save money as there’ll be less waste. You’re already prepared for busy evenings packed with after school clubs, healthy snacks are prepped and ready to serve and you know that you’ve got a good variety of meals coming your way over the next few days that ensure your family get all the nutrients they need. If you can only shop once a week or once a fortnight, then you’re going to want to plan an enough meals, drinks and desserts. If you can shop more regularly, then you can afford to be a little more flexible and plan a few days in advance. Don’t forget to include snacks into your meal planning, especially if you have hungry children that need feeding between the end of school and dinner! It’s all too easy to grab something unhealthy when you don’t have a plan. Try to do some baking if you have time… but also look for healthy ready-made snacks such as hummus (which you can serve with veggie sticks), oatcakes and Ryvita, nuts and healthier snack bars such as Bounce balls. Sure, you can plan to have the same snack every day to make life easier… but chances are you’ll end up getting bored and you’ll reach for the wrong foods. Try something new every week and ask the family to come up with a couple of things they really want to eat… that way it’s a team effort packed with tasty food you all enjoy. #4 Identify easy recipe sources. 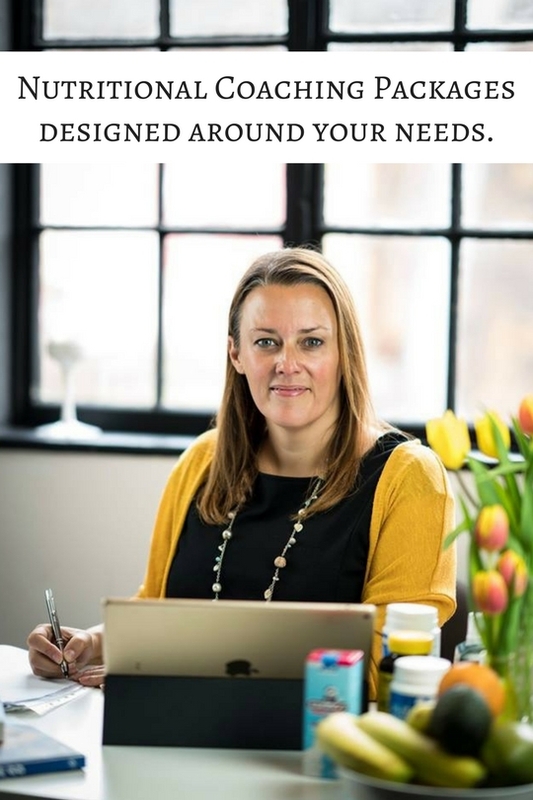 Create systems to organise and plan. For example, maybe you hit the supermarket on Wednesdays and Sundays. Sit down at your table and make a full meal plan before you shop. Add ingredients from each recipe to your shopping list so you arrive at the supermarket knowing exactly what you need to buy. That way you’ll have less waste. If you’re cooking for a family, get everyone involved in the meal planning – and maybe even the preparation! When children feel that they have a say in what is served, they tend to be more excited about it. 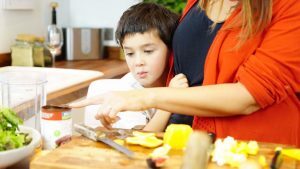 Why not let your children choose one meal a week and let them help you prepare that meal? They might surprise you with their choice! Life happens! So it always makes sense to have some backup food and a good supply of cupboard staples. Things like baked potato and tuna or low sugar beans. Packets of ready cooked wholegrains such as brown rice and quinoa, which you can mix with tinned pulses and some frozen peas for a quick, healthy meal. I also always keep some frozen fruit in the freezer – so if it’s not been the best day on fruit and veg, I can pack some extra in with a smoothie after tea. Handful of blueberries, bit of banana, unsweetened almond milk, bit of avocado, teaspoon of honey and whizz in the blender! If you live a super busy life (and who doesn’t), then consider a few make-ahead recipes. Sundays I’m often batch cooking for the week… casseroles, stews, soups, curries and tomato based sauces packed with loads of veggies to make quick pasta dishes or to top a wholegrain pizza base. Also make sure you have something quick for nights that you’re busy. Most parents know what it’s like to be an after school taxi! Batch cooking is ideal for that. Or there’s nothing wrong with scrambled eggs, low sugar beans, wholegrain toast and some chopped veggies like carrot, cucumber and perhaps some fruit for dessert. It’s easy to get into a meal planning rut. Meatballs Monday, Taco Tuesday, pasta on Wednesday and so on. While that does provide a framework to make planning easier, it can also start to feel limiting. Try to include one new recipe each week. It’s good to feel excited about your food. Count up your fruit and veggies. 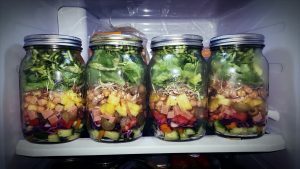 Meal planning can take some getting used to and it does require you to create a few new lifestyle habits. However, once you’ve integrated these habits into your routine, you’ll wonder how you ever managed without it. It’s a great way to make sure that each meal is nutritious and delicious… and of course all the food you and your family eat is so vital for powering your brain, keeping your body strong and in tip top condition, and helping you to feel great. What’s so good about quinoa… and how to use it! How to prevent the dreaded traveller's tummy! 5 expert tips for weaning your baby without losing your marbles!